Three cookbooks you might consider adding to your collection or giving as gifts this year are 5 Ingredient Fix by Claire Robinson, The Family Dinner by Laurie David and The Clinton Street Baking Company Cookbook by DeDe Lahman and Neil Kleinberg. 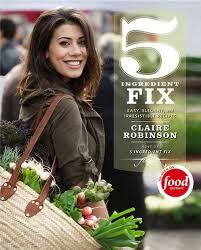 The 5 Ingredient Fix: Easy, Elegant, and Irresistible Recipes is Food Network star's Claire Robinson's cookbook. Claire's philosophy is that when you have good ingredients you only need a few to draw out their natural flavors and enjoy your food. The cookbook has a variety of yummy treats to try and gorgeous pictures to accompany them. The recipes are divided by mealtime and meal function. The Family Dinner: Great Ways to Connect with Your Kids One Meal at a Time by Laurie David is David's answer to the new assembly line process of eating our country has adopted. 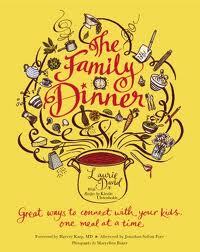 Urging families to think more about food and the process of eating, David shares several recipes with suggestions of how kids can be involved in the meal preparation or different games and discussion topics that you can have around the meal. This book is more recipe than anything else, but it's a nice idea. 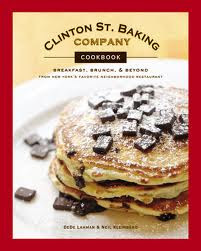 The Clinton Street Baking Company is a place in New York and oh my gosh does the food look amazing! Unfortunately, it also looks like stuff I'll never make. In any case, this is a beautiful cookbook with all the insider recipes so if you're ambitious you can make them, or if you're like me, you can gaze at the pictures and lust after the food!